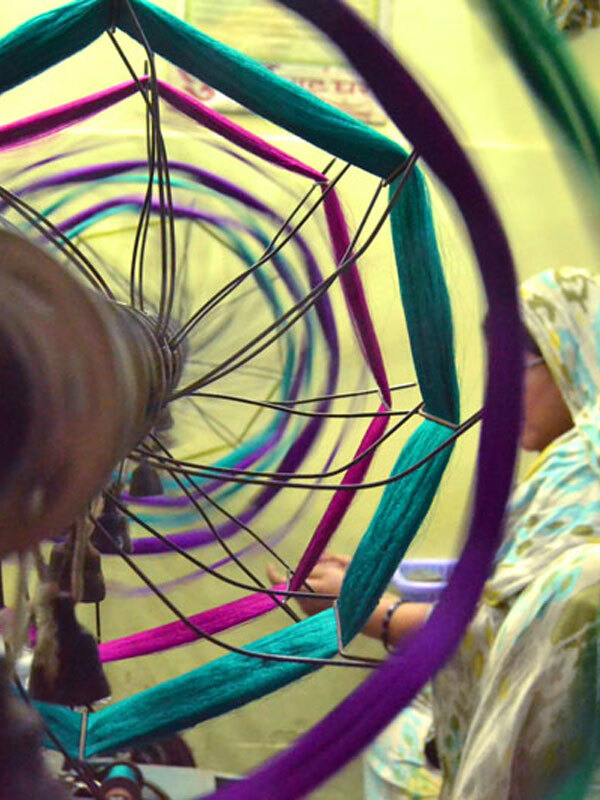 Varanasi, also known as Benares or Kashi, is a city on the banks of the river Ganges in Uttar Pradesh. 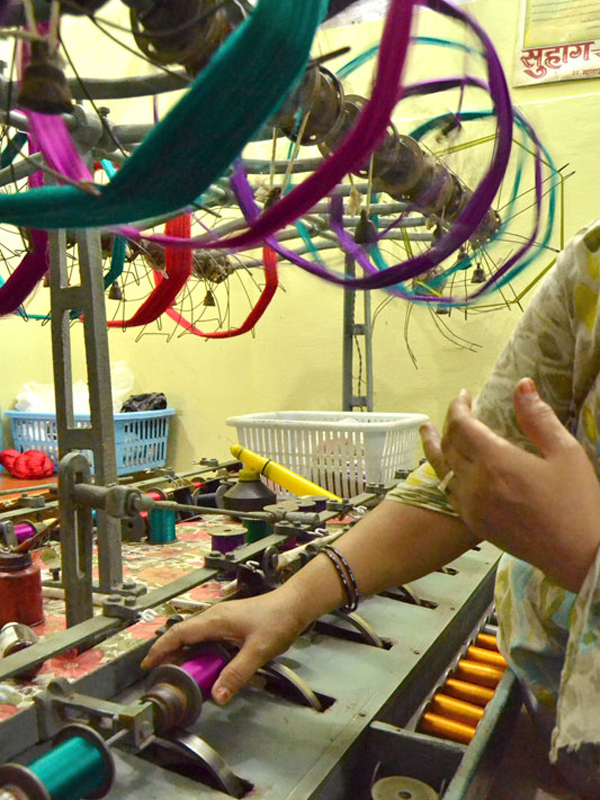 It is famous for its socio-economic and religious importance all over the world. 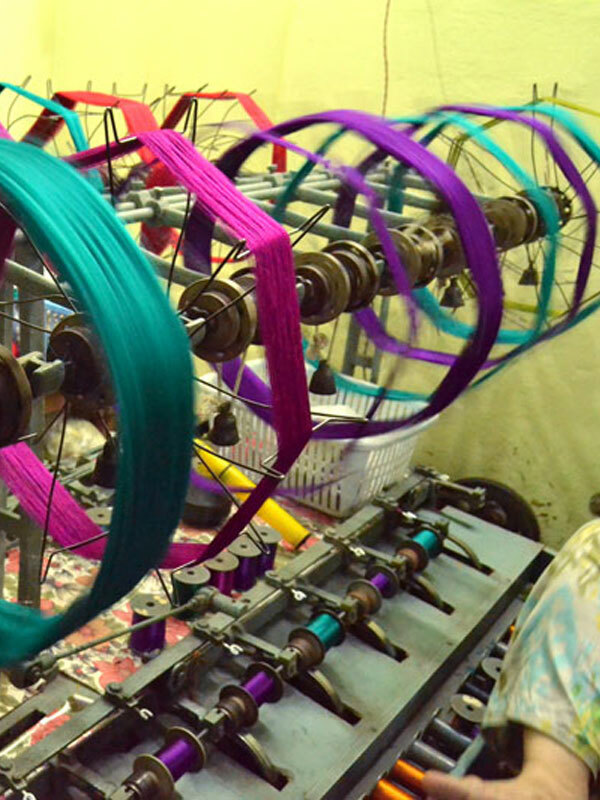 The city is equally well known for brocade-weaving which is a cluster based activity and is scattered all over Benaras and some adjacent districts. 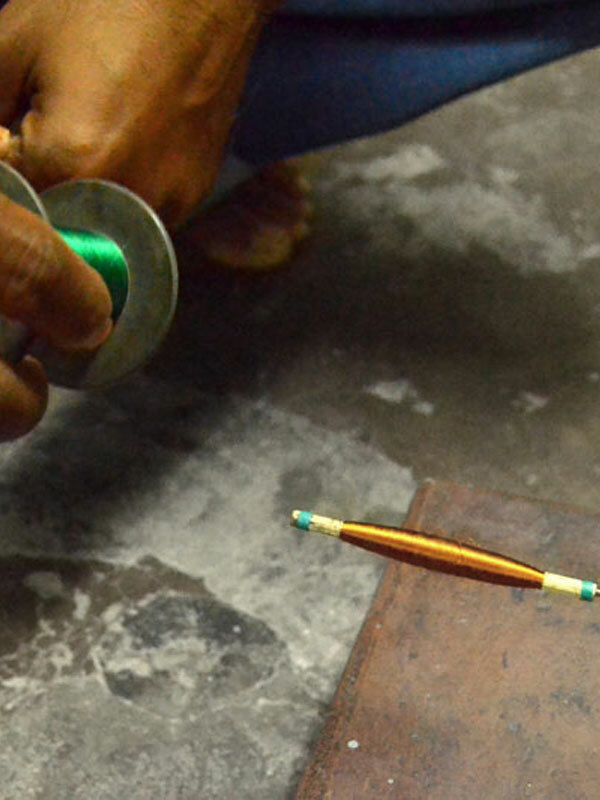 In the weaving communities of Varanasi, every small house, every street, every open space is taken up by men busy with kilometres of thread. 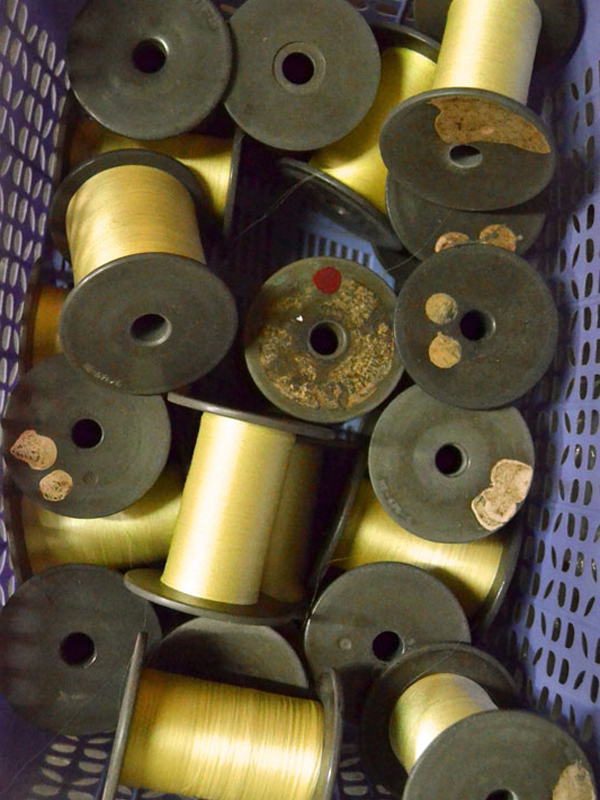 The quality of its silk fabrics is considered the most refined in the country and a must as marriage gift. 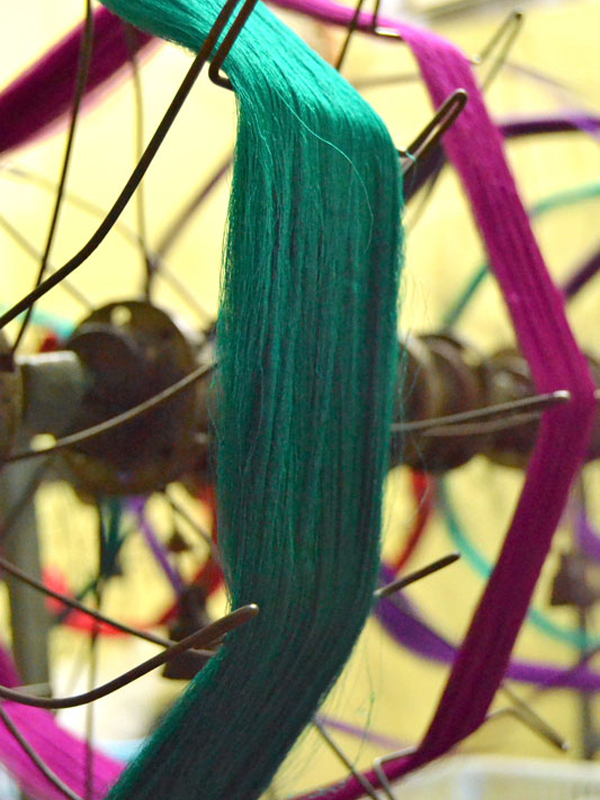 Reeling is the skein preparation prior to dyeing. 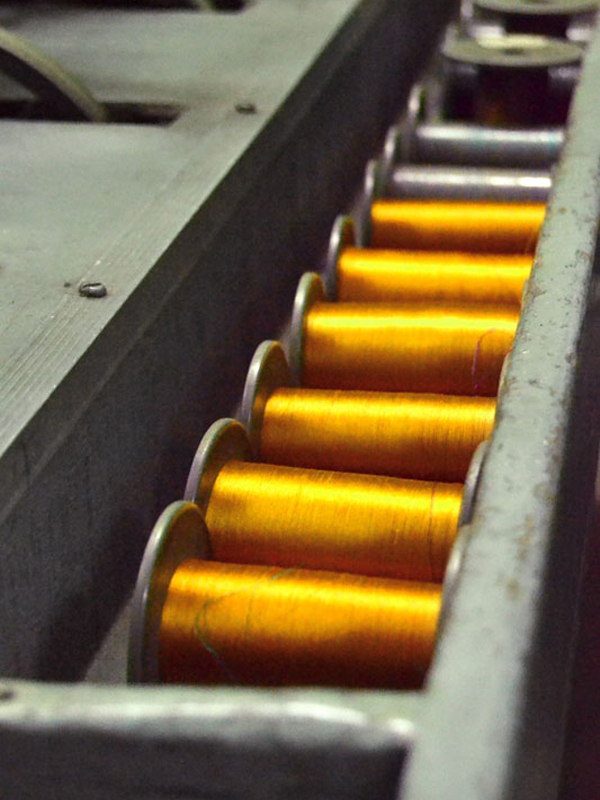 The reeling machine is fed by yarn packages and winds them onto a reel, thereby forming the skein. 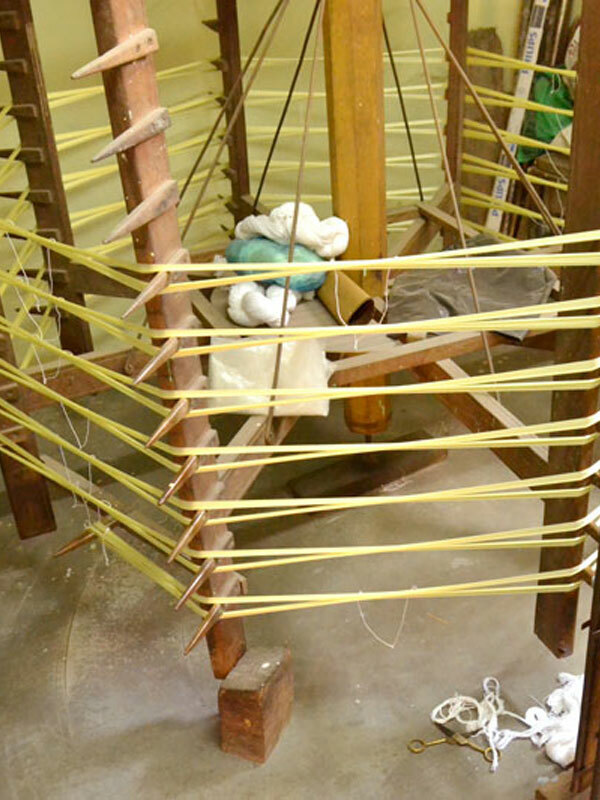 The yarn is separately reeled for tana (warp) and bana (weft). 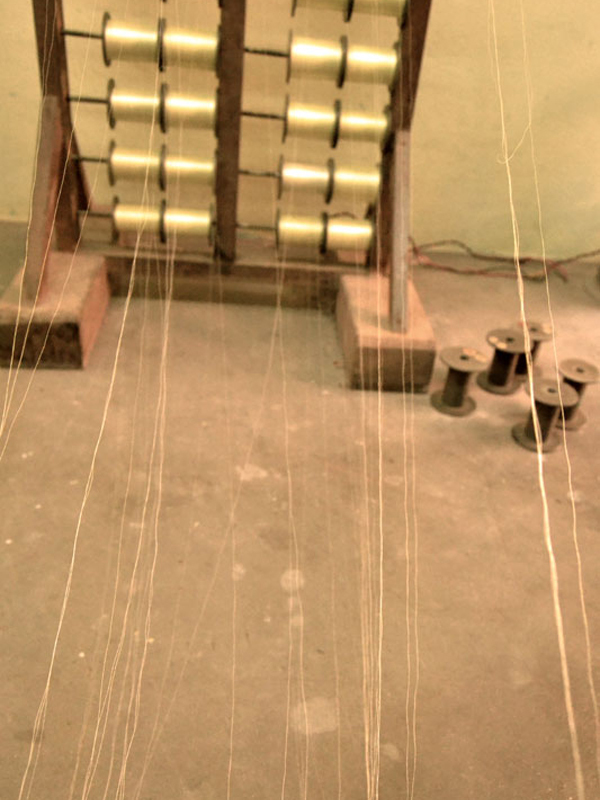 Three to five people are needed to reel the warp which is wrapped on a warp cylinder in sufficient length required to weave a known length of sarees. 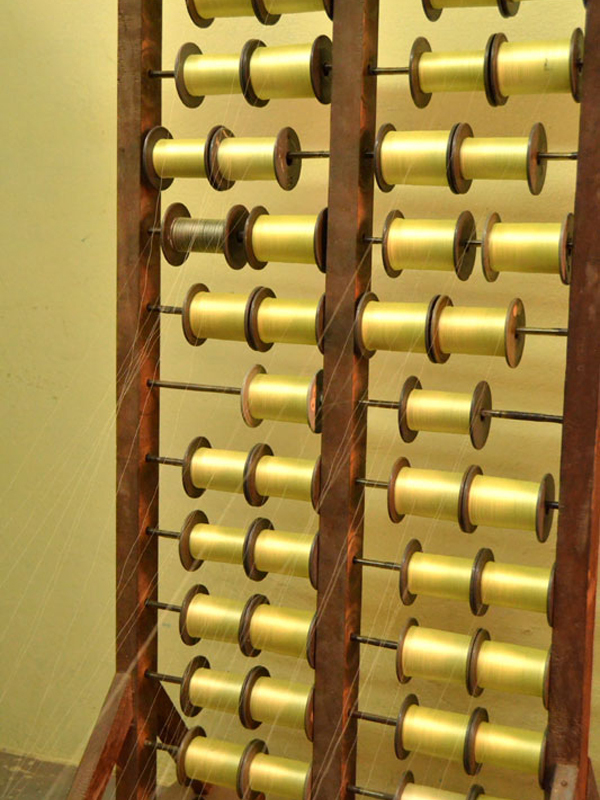 Yarn for the weft is reeled on small cylindrical object in a process known locally as 'nari bharana'. 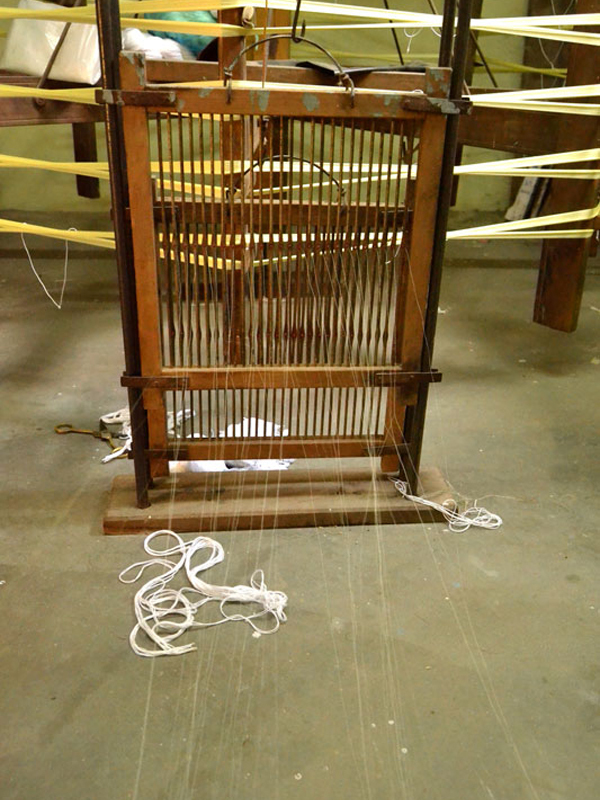 The weft-yarn is used in a shuttle called 'dharki', which is thrown from one to other side while weaving. 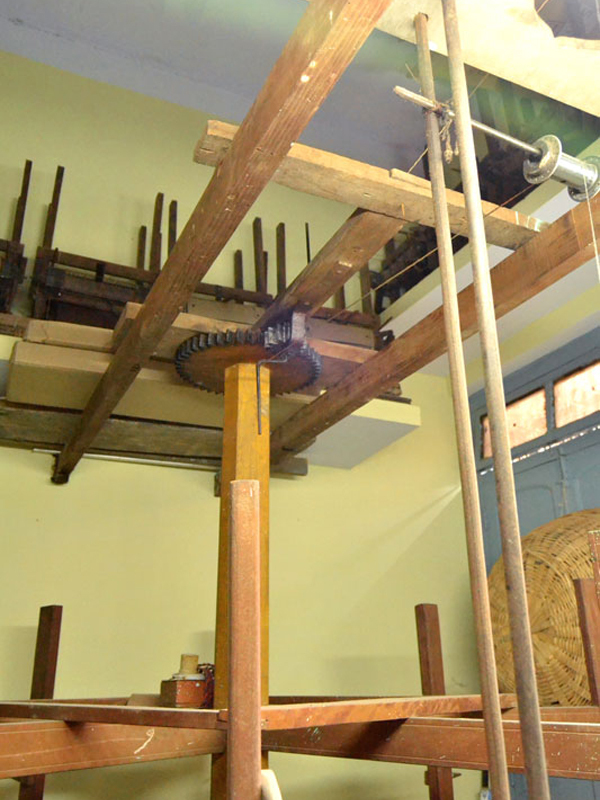 A charkha (spinning wheel), now made up of a bicycle rim and a paddle, is used for winding the yarn on nari (bobbins) and is usually done by women.